While many Whitsunday islands are still reeling from the impact of Cyclone Debbie, Hamilton Island is already regenerating new life. 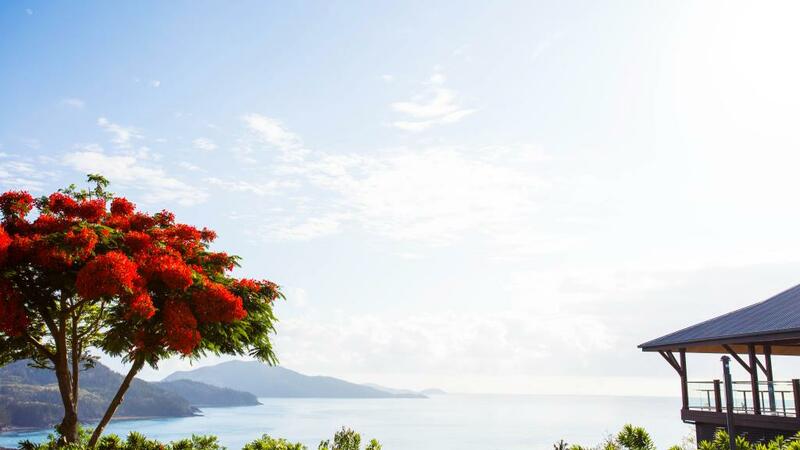 Just as green shoots are beginning to appear on the branches of trees stripped by the wild weather, Hamilton Island staff have gone above and beyond to restore the island to its former glory. Chief executive Glenn Bourke said the 1200 staff on the island had done a phenomenal clean up job. "And I'm really proud of the commitment that they've shown and the speed that we've been able to get ourselves back on our feet. This was a very intense cyclone for us" he said. "We have had cyclones before, and we have learnt from those experiences... and whilst we knew that we evacuated most of the island immediately post the cyclone we wanted to make sure the staff had fruitful employment and that we could sustain the island." The whole resort zone is back in business with Hamilton Island accommodation ready, restaurants open and activities ready to go. In fact, Mr Bourke said many of the areas are now better than ever. "Part of the Oatley family basis for moving forward is that we have incremental improvement, year on year. This gives us an opportunity to clean out areas, to reconstruct, to refit shop fronts and restaurants and staff accommodation and to build it better and more impervious to the effects of weather in the longer term - so it's a big opportunity for us as well - it's really a positive on that side of the spectrum." Of course the island is sympathetic to many of its neighbours, including Daydream and Hayman islands, which didn’t fare so well. Unlike Hamilton, these islands have now had to close for major works and refurbishments. They aren’t expected to open for another 12 months. Mr Bourke attributed Hamilton’s ability to get back on its feet to its enormous resources. "We have a lot of staff, machinery (and) heavy equipment” which he said made it possible for the island to rebuild very, very quickly. Other than a handful of cancellations, Mr Bourke said most guests had decided to honour their bookings, with many of them being return guests. "We have beautiful days where the weather's fine and the beaches are great and we have people stand-up-paddle boarding and sailing boats out in Catseye Bay" he said.